39th WOC will be held October 28 - 31st in Cambridge, UK! 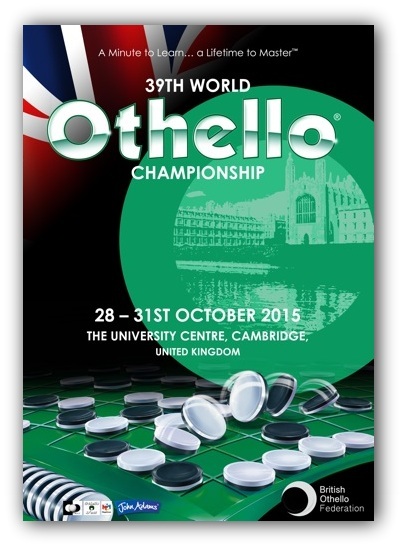 In one week, the 39th World Othello Championship will take place in Cambridge, England. We shall try to provide live coverage of the tournament, results and standings and transmit live games on Liveothello. We shall also try to have webcams available to provide a video feed if bandwidth permits it! As there will be few table judges, we may need your help to type in the transcripts. If needed, the plan is to scan the transcript sheets and to publish the pictures on flickr. Anyone willing to help can then replay the transcript in his favorite othello program and paste the list of moves as commentary to the photo. I hope you will all enjoy this great tournament!